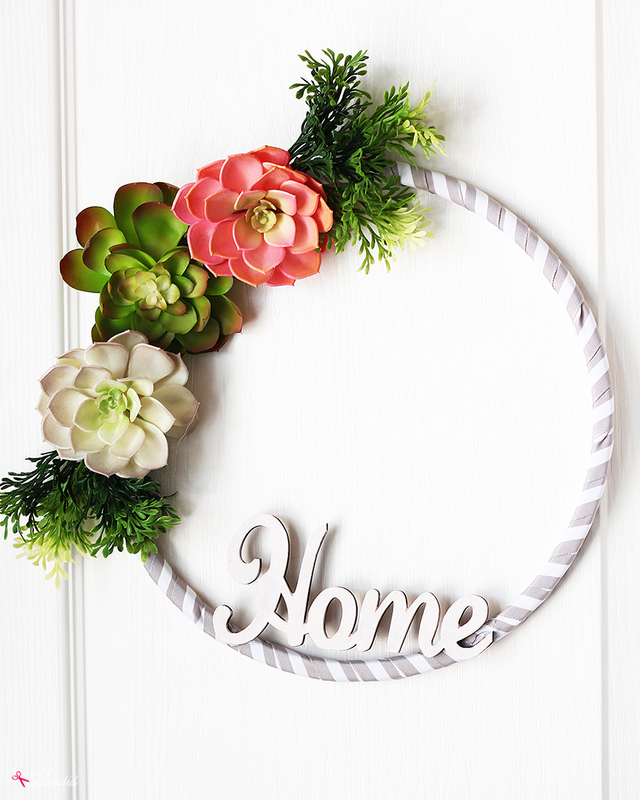 This DIY faux succulent embroidery hoop wreath is a great spring wreath idea! 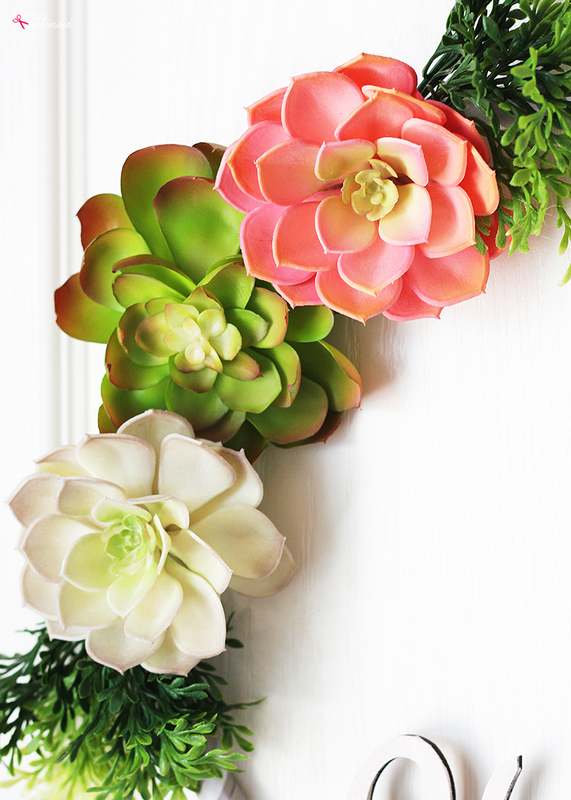 All you need is an embroidery hoop, faux succulents and a few other basic supplies. 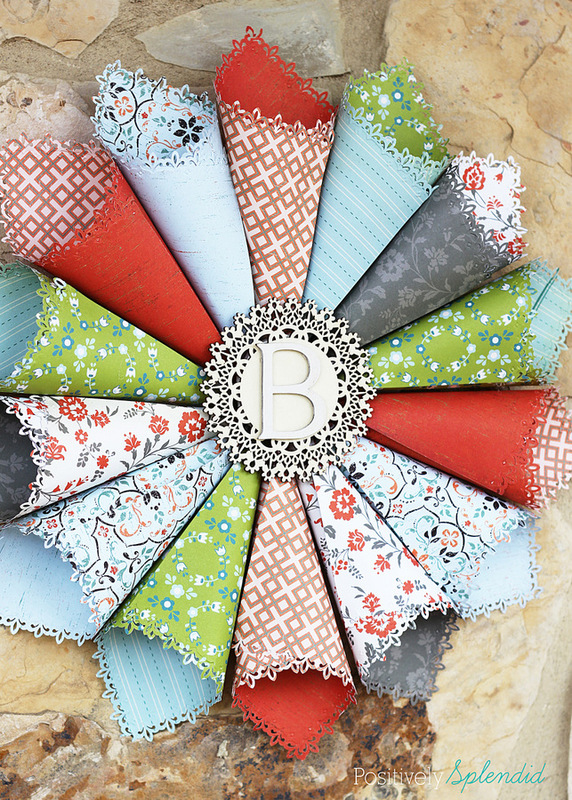 Beautiful homemade wreaths are some of my very favorite craft projects to make! 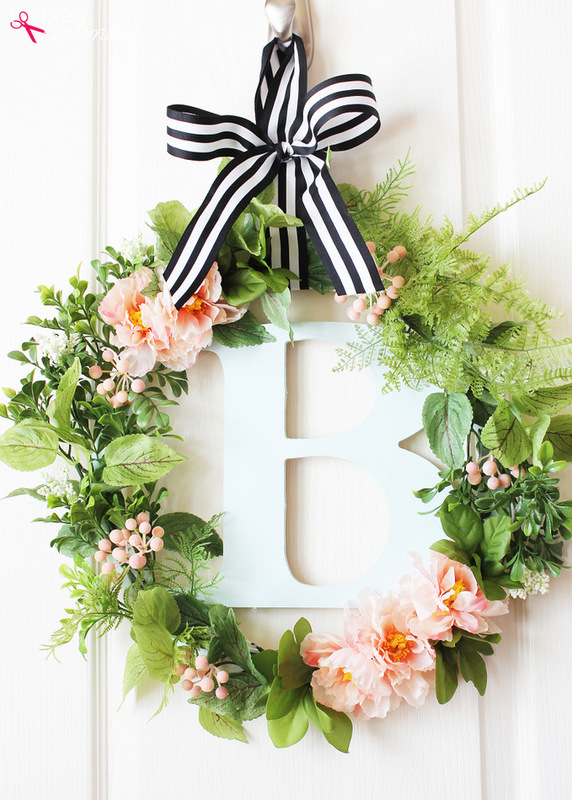 Spring wreaths are such a great way to refresh any space for the new season. I have been wanting to try my hand at making an embroidery hoop wreath for some time, and I decided to use an embroidery hoop to create a pretty new DIY wreath for my front door. 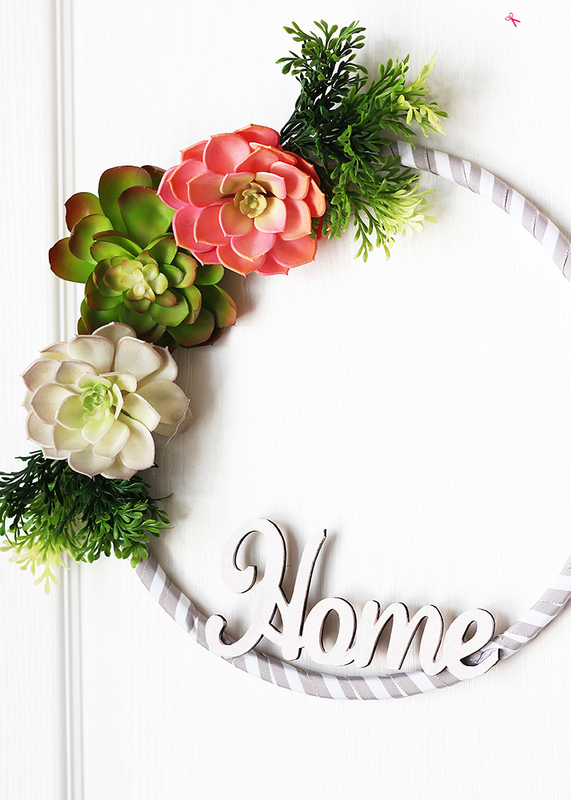 Faux succulents from Michaels make this wreath pop, and you won’t believe how easy it is to make! Continue reading for all the details. Today’s project is sponsored by Michaels. This post contains affiliate links. Note: All supplies for my wreath are from Michaels. Use a brush to apply 2-3 coats of paint to the wood word cutout, allowing the paint to dry at least 15 minutes between coats. Set the piece aside to dry completely while you make the rest of the wreath. 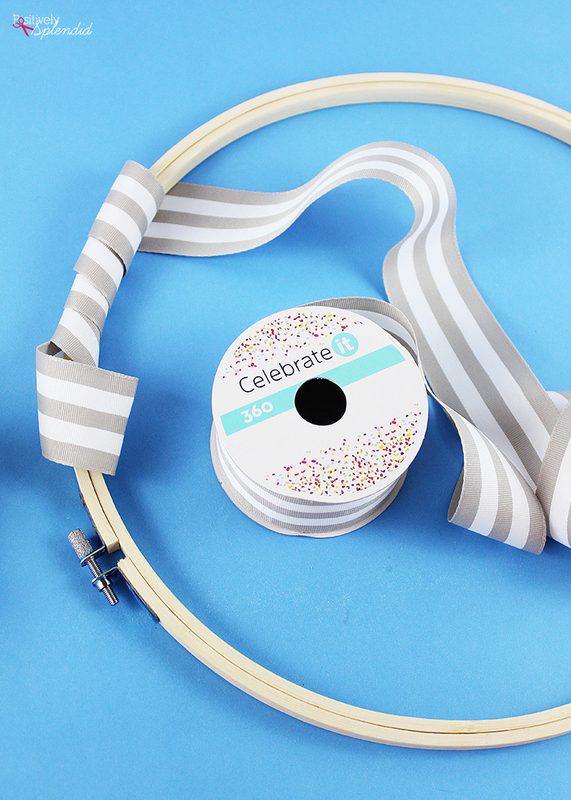 Wrap the ribbon around the embroidery hoop, securing the ends with hot glue. Remove the stem pieces from the backs of the faux succulents. 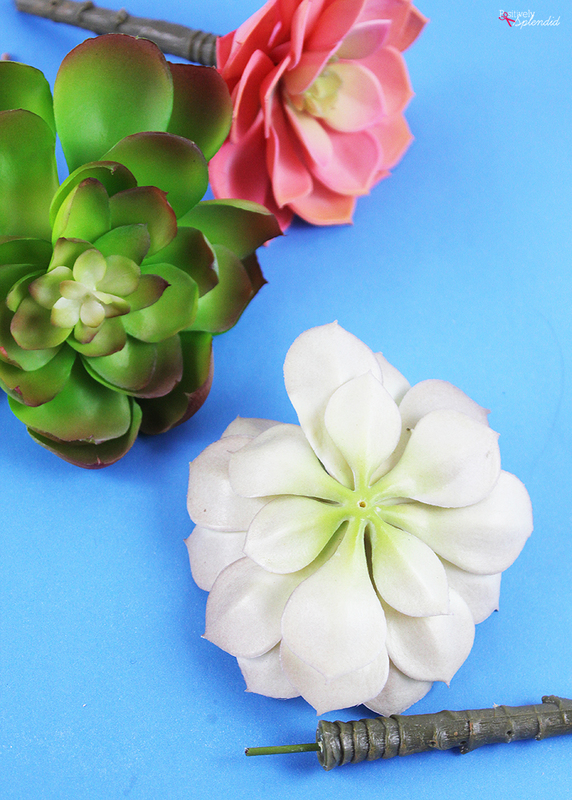 These pretty artificial succulents from Michaels are perfect for this project! There are so many great varieties to choose from, and the stems can be removed by gently twisting. Note: You might need to apply a bit of hot glue to the topmost layer of the succulent when the stem is removed in order to anchor it in place. Arrange the faux greenery succulents along the left edge of the wrapped embroidery hoop as desired, and anchor each piece to the wreath with hot glue. Affix the painted wood word to lower right-hand edge of the wreath with hot glue. 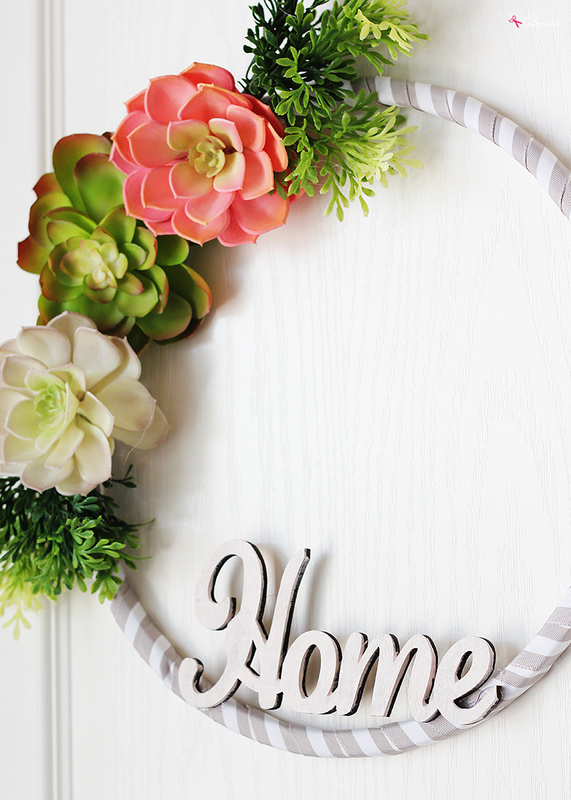 Your pretty DIY spring wreath is complete! Making DIY wreaths with embroidery hoops is so easy and much less expensive than investing in traditional wreath forms. Wrapping the embroidery hoop wreath with ribbon is a really nice touch. If you love the look of succulent wreaths but don’t want to worry about maintaining live plants, this faux succulent wreath is definitely the way to go! Can I make this wreath with embroidery hoops of other sizes? Absolutely! Embroidery hoops come in a variety of sizes, and you can go as big or as small as you like. You can even use this same technique to make pretty miniature wreaths by adjusting the size of the succulent and greenery accents used. Do I have to wrap the embroidery hoop with ribbon? No! Leave the raw wood exposed for a different look, or even paint the embroidery hoop any color you like. There are lots of great options for this project! What is the best way to hang the finished wreath? I have found these Command Hooks to be the perfect size and strength for hanging this particular wreath. Do you have any other homemade wreath ideas to share? I sure do. 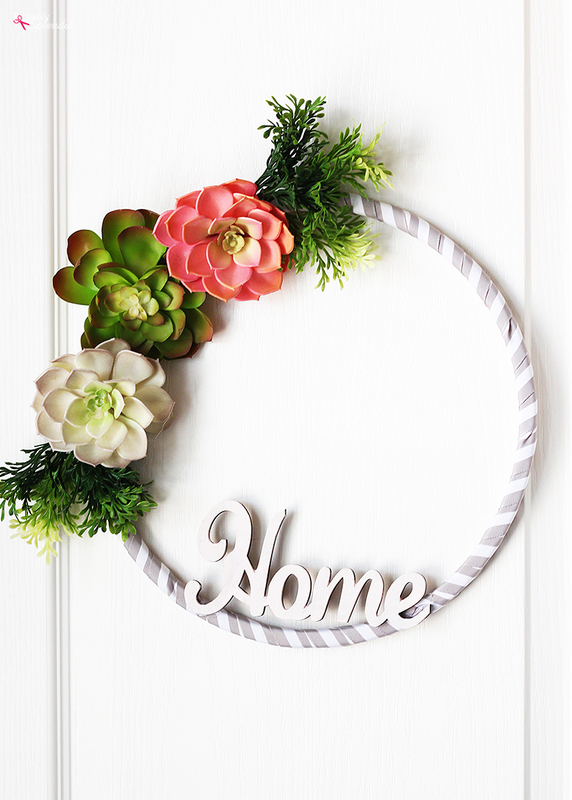 Any of the ideas below would be perfect for making a spring wreath for your front door, or any space in your home! Spring is all about new beginnings. After the hustle and bustle of the holidays and getting gifts for everyone else, it’s time to treat yourself (and your space!). 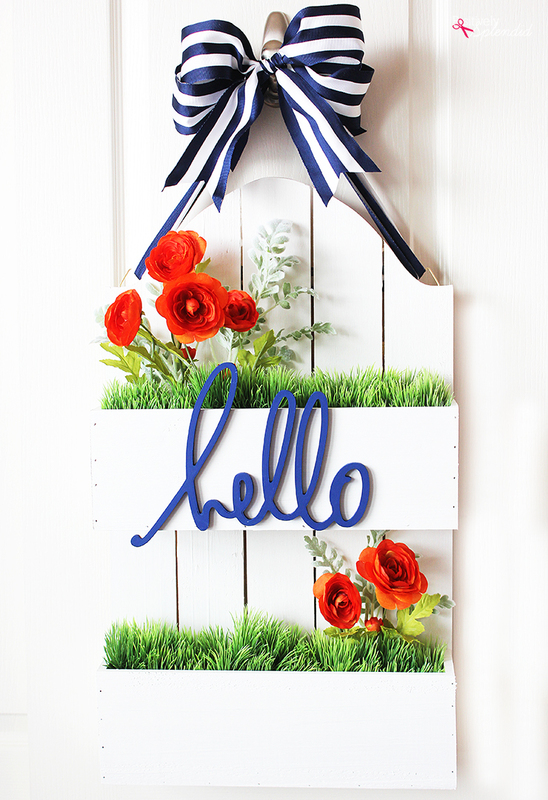 With bright florals and fresh projects, Michaels helps you MAKE all things spring!